Bring a pond inside your classroom. 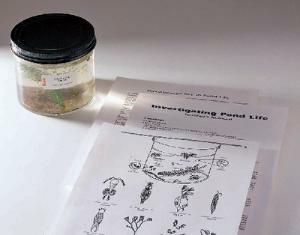 This comprehensive collection features a variety of organisms commonly found in a freshwater pond. Using the variety of specimens in this single jar, your students can discover the fascinating diversity of life that exists in a typical small body of water. Includes algae, Protozoa, Hydra, Planaria, Daphnia and other common organisms.